TOKYO, Japan (Dec. 13, 2012) – World No. 2 ranked lightweight (154 pounds/70 kilograms) Robin van Roosmalen (37-14-3, 12 KO’s) has been confirmed for a Superfight with colorful Japanese fighter Yuichiro Nagashima (17-5, 12 KO’s) at the GLORY 4 TOKYO – Heavyweight Grand Slam event at Saitama Super Arena in Tokyo, Japan on New Year’s Eve. Also confirmed is a heavyweight showdown between the legendary ‘Battle Cyborg’ Jerome Le Banner (72-21-2, 58 KO’s) and Japanese Kyokushin Karate stylist Koichi Pettas (26-7-1, 15 KO’s). The three-round battle pits the heavy hands and raw power of Le Banner against the hard-kicking technicality of Pettas and should provide for an exhilarating match. “GLORY is home to the world’s top stand-up fighters and these two fights showcase that perfectly. In the first we have the world’s No. 2 lightweight fighter, who smashed his way through our ‘Final 8’ tournament earlier this year and fought the world’s No. 1 ranked lightweight Giorgio Petroysan in a thrilling final,” says Glory Sports International CEO Marcus Luer. “Nagashima is known the world over for his flamboyant ring entrances. He likes to put on a show but he also has the fighting skills to match. He prefers the kicking game while van Roosmalen likes to use his hands, so it’s going to be an interesting clash of styles in this fight. “As for the heavyweights, Le Banner is an icon to fight fans all around the world. He is up there with Peter Aerts, Semmy Schilt and Remy Bonjasky as a legend of the sport. Some of the biggest KO’s in the history of the sport have been at Le Banner’s hands and he will be looking to stage another one for his fans on New Year’s Eve. In Japan, Le Banner is known as ‘The Battle Cyborg,’ thanks to a relentless ferocity and unbelievable toughness that at times makes him seem to be half-machine. Born in the tough docklands city of Le Havre, he has battled his way into the sport’s history books with huge KO’s and awe-inspiring displays of courage. He has wins over top names such as legend Ernesto Hoost, Tyrone Spong, Mark Hunt and Bonjasky. Pettas, known simply as ‘Koichi,’ is one of the top heavyweight karate fighters on the planet and can trace his lineage directly to the founder of Kyokushin Karate, sensei Mas Oyama. The style was developed from traditional karate as an answer to Muay Thai, and it is considered to be one of the hardest fighting styles in the world today. Koichi proves that claim via 15 KO’s from his 26 wins. Van Roosmalen comes from a family of boxers and one look at his fighting style is enough to see that the blood runs true. Packing fearsome power into his 154 pound/70 kilogram frame, van Roosmalen has a well-deserved reputation as a KO artist, and has a growing army of fans. His performance in the GLORY ‘Final 8’ tournament on Nov. 3 was spectacular and included a ‘Fight of the Year’ candidate against Dzhabar Askerov. 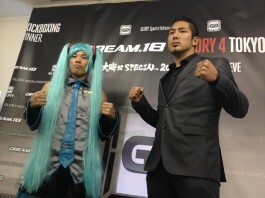 Nagashima was a high-school student when he first saw a kickboxing tournament. He was immediately entranced, particularly by the superb technique of the Swiss karate fighter Andy Hug. Already a judo black belt, Nagashima at that point directed all his energies into the striking arts and determined to emulate his hero. He swore that he would always be an entertainer as well as a fighter, prompting the development of the flamboyant ring entrances which have graced television screens worldwide. The GLORY 4 Tokyo – Heavyweight Grand Slam event will be headlined by a one-night, 16-man, single-elimination tournament featuring the world’s top heavyweight stand-up fighters, including Schilt (39-6, 18 KO’s), Bonjasky (77-14, 40 KO’s), Aerts (104-30-1, 78 KO’s), Gokhan Saki (77-15, 53 KO’s), Daniel Ghita (44-7, 34 KO’s), Errol Zimmerman (76-16-1, 41 KO’s), Anderson ‘Braddock’ Silva (32-8-1, 22 KO’s) and Sergei Kharitonov (22-7, 12 KO’s). 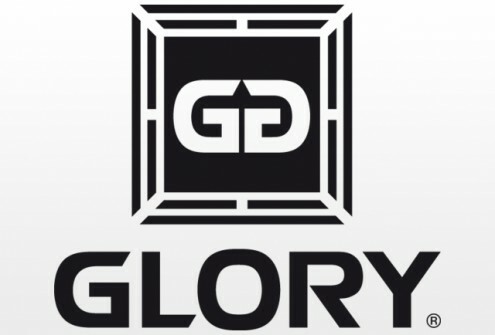 The GLORY 4 Tokyo – Heavyweight Grand Slam event represents one-half of the ‘GSI presents DREAM 18 and GLORY 4 Tokyo – New Year’s Eve Special’ double-header fight card, which will begin at 4 p.m. JST with the DREAM 18 Mixed Martial Arts (MMA) event. This entry was posted in Events, Features, News & Results and tagged featured, Glory World Series, Jerome LeBanner, kickboxing, Muay Thai, Nagashima, Pettas, Robin van Roos­malen. Bookmark the permalink.